I first discovered Milkman Dairy Bar's products via their Instagram account. It was not hard to become curious with their concept of cookie dough. When I saw photos of their product line, I was sure that this is something that will not disappoint. It appeared as a small but promising business, participates in trade shows and weekend markets and for a change, not mass produced. I made my purchase last week. I have money to spare and I was hoping to share it as a birthday gift for a friend and some family member. I placed my order via their website and everything went out smoothly. I paid via bank deposit, informed the seller and waited for my orders to be shipped. All my orders arrived before weekend. Given that the goods are served in bottles, I was impressed on how the items were carefully packed. I ordered Red Velvet Oreo, Everything Nice and Grandma's Choco Chip. Among the kids at home, Grandma's Choco Chip was the favourite. In my case, I love best Everything Nice. Red Velvet Oreo is also good, but I have to say it's my least favourite. More than the taste, I love the fact that I was not cheated with the contents of each bottle. The bottle was filled with dough. The middle part is not empty. Also, other ingredients such as the chocolate chips. pretzels, peanut butter bits, oreo cookie were evenly spread out. Unlike other bottled goods wherein the most awaited ingredients are only found on the first layer of the spread. For more information about Milkman Dairy Bar, you can reach them via their website or Instagram account. A week ago, me and my friend Anne had an unlikely meet up in Makati. The rare times we get to see the Makati malls! We were looking for a dinner place. In the middle of getting lost in Glorietta, (yes, I still have a hard time navigating the circular structure of the mall) we saw posters of the newly opened Wing Stop Philippines. We have been interested with Wing Stop Philippines. We thought it might be expensive given that it was franchised abroad. When I saw the posters along Glorietta, I thought we might give it a try. Since we both have poor navigation skills, it took us a lot of time and effort to finally locate it. The lady receptionist told us to proceed near Mc Donald's, turn right, turn left... I didn't anymore understand the succeeding directions. Hahaha When we were about to give up, we finally discovered its unlikely location. Turns out, it's near the pedestrian crossing to Landmark. If we were told that it's fronting Landmark, the search could have been simpler and easier. We arrived in time for dinner. Good thing, the restaurant was quiet and unoccupied. (Tita of Manila feels hahahaha) We were able to find a comfortable seat. Ordering was almost easy not until we discovered that they have 14 flavors to choose from. What flavor to eat now? We chose the two-flavored bucket that comes with two pieces of free chicken wings in another flavor. We had Hot Buffalo, Louisiana Rub and Honey Garlic. Among the three, I love best the Louisiana Rub. The flavor was actually recommended by the service crew. Hot Buffalo was also good. It has enough spice although I felt that it has a mixture of lime and beer on the flavor dressing. Honey Garlic was just okay for me. We also ordered two cups of dirty rice and tall glasses of Coke. A little reminder to those who have intentions of trying Wing Stop, don't anymore upgrade the size of your softdrink. The tall glass is too much already, it felt like ordering a large Coke from McDonald's. Take it from me, who is so addicted to Coke. As for the yellow rice, it tasted like Star Margarine rice. Hahahaha But it's good, I actually like how it complemented the chicken flavors we had. All in all, we paid around Php 500 for the entire meal. I guess not bad at all considering the amount of servings. Other things I love about Wing Stop is the cleanliness, customer service and unique interiors. I have to give 5 out 5 stars for cleanliness. From the walls, floors, trays, to the utensils. The staff are very customer oriented as well. I also like the cool interiors. And before I forget, they have decent wifi connection :p I'll definitely recommend Wing Stop Philippines to everyone! There was just too much discovery and learning that happened this week. I'll start with the negative side. I got engaged...... in a spat. Hahahahaha If that engagement meant the real engagement, my parents would surely be the happiest. Hahahahahaha But seriously, I was provoked. Someone raised his / her voice against me. Added to this, I discovered someone who cheated me ... pertaining to work. Hahahaha Years ago, my reaction will surely be different. I will take everything and shut up. After years of growing up, I realized I have changed. As to how I did it, let that remain as an offline secret. Now for some good news, life has been pretty good over the past week. There were opportunities, treats and some other things to be thankful for. The highlight of everything, an unexpected support system from some relatives. I'm humbled by the fact that there are other people who love my family. , All the more I feel thankful because goodness still prevails. In a world filled with unscrupulous and heartless beings, it feels great to come home in a family filled with love and kindness. Edible Cookie Dough - Expect weight gain after looking at the photo. Hahahaha I discovered this product via Instagram. I love the concept presented by the owners. It's real cookie dough that can be eaten raw! I'll blog about these one of these days. Check them out on Instagram here. New place for the best Chicken Wings - Before the week ended, I met my friend A. We tried this new restaurant specializing in chicken wings. Me and my friend A have one mission in life: to discover and try all the best chicken wings in town. Hahahaha Can you recommend us places for the best chicken wings? Trip to Common Room - If only I had more money to spare, I would have purchased more postcards and other handicrafts. I went to Rockwell Powerplant for a client call yesterday. I don't visit the mall because it's far from home and as most of my Filipino friends know, it is just too high end. Hahaha For the first time, I saw a Kate Spade boutique in Manila. I also noticed the Repetto shop. As much as I wanted to window shop, I was taken aback because there were no shoppers. I felt shy and intimidated. I initially planned to check out Fab Manila and Laduree. Unfortunately, I enjoyed time at Common Room. I forgot about the plan when I was heading back home. Sayang!!! Ash and Muff's Reversible Tote - Thank you to Team Ash and Muff. I'm a proud and happy owner of their newest product offering, the Liberty Bag. It's actually a reversible bag. Check out the versatility here. Product find from Landmark - Another great find from one of my favorite places. I rarely visit Landmark so every trip to Makati meant dropping by the Home Section of Landmark. I found several items on sale including this bottle shaped planter. It was sold at a discounted price because of the damages. You might find me weird but I actually love the fractures and damages. My father said he would help me find the perfect plant for this. Yay! It will be the last week of July tomorrow. I'm not sure what's in store for me for the succeeding months. There are opportunities showing up and I hope, some will push through. Wishing everyone a happy Sunday and a great week ahead! For the lack of adjective... it's complicated. This was how the past week went. I wouldn't say that having that element of being complicated is bad. There were sources and instances of negativities. But mostly are made of situations I underestimated. What I thought as a simple problem happens to have more problems underneath. What I initially perceived easy, wasn't. For the longest time, I thought I was able to defeat the challenge. Only to later discover, I just overcame a level of what seems to be an endless pit of painful learning experiences. I also relearned the meaning of trust. It's a given fact that betrayal ruins trusts. This week though, I discovered that sometimes, you don't need to feel betrayed to lose the trust you have invested. Actions and other forms of unsaid languages ironically speaks and screams more. A few days ago, a number of my Facebook friends was feasting over a particular photo upload. In my opinion, such photo showcasing a personal document should not have been uploaded. But then again, who am I to judge? What I didn't like though, people or authorities more knowledgeable about the implications of that photo upload, didn't seem to mind at all. They exchanged comments they thought as humorous. How I wish I can relate the details of the document. But for my personal safety hahahahaha I'd rather shut up again. What should weekends be - A great read and a box of discounted muffins...just because it's about to expire tomorrow. Hahahahaha The cheapskate in me buys bread about to expire just because my wallet cannot afford the original fresh price. And that book in the photo, will always be a personal favorite. Hub | Make Lab - I was finally able to visit this independent seller market at the historic Escolta. Unfortunately, there were only a few stores open when I visited. This unique market place showcases products you don't often see in department stores. Vinyl Records - I scored these vinyl records from the Hub | Make Lab. New Kids on the Block is for the win! I grew up hearing my elder cousins loving the group. New Kids on the Block is like One Direction of the late 80s to early 90s. My only wish though, a gramophone to experience it for real. 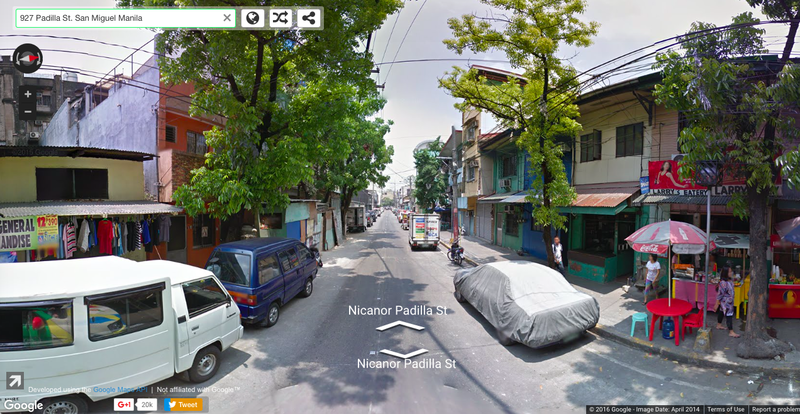 Vintage Postcards - A few steps from Escolta is my favorite shop across Sta. Cruz Church. I thought the shop already closed. Only to later learned that the owners temporarily close the shop for fasting, arising from the period of Ramadan. I can't wait to send these to their would be real owners soon. :) Check out this post, in case you are interested with my favorite vintage shop. What happens behind an Instagram photo - Hahahahahah Happy Birthday to my ever supportive Dad! My only wish for him is good health and lots of reasons to laugh. True to the picture, my Dad has been the "unaware" supporter of my blog and Instagram feed. Some of the photos you see in my blog and IG account are made possible with him. And just like that I realized that its already halfway July. Still can't catch up with how fast each month flies. I blogged about the Peter Rabbit coin in my previous post. I cannot anymore deny that I have a growing and wallet wrecking Peter Rabbit collection. I used to be addicted with the commemorative plates. This time however, I wanted to focus on the books and Peter Rabbit dolls. Of all the letters I wish to send - I almost thought I would end June without writing letters and sending postcards to my dearest friends. Work schedule, rainy day afternoons, financial constraints, I've been avoiding writing letters for a while. Before June ended, I'm glad that I was able to break my silence. Missing my family - Have you seen my family picture? Hahahahahaha My belly is the screaming proof of my membership! Hahahaha But seriously, I look lighter in that photo. I've seen my tagged pictures in Facebook lately.... I cringe. I gained another 5 lbs since that photo was taken. How to? How to not lose weight, rather, how to unlike Coke, potato chips, cake slices, and all those mortal sins? Beneath the photo is a major throwback. Upon organizing my things, I saw my first ever payslip!!!! Loving the colder temperature - It has been raining in Manila for over a week. There were days when work and classes were suspended. Setting aside the hassles of traffic and commuting, I love the colder temperature brought by the rainy season. Pillows, blankets and a great read, priceless! Despite all the grown up worries, the colder temperature has been conducive in giving me the rest I badly needed. Months ago, I had a conversation with another friend. She shared an article suggesting ways on how to avoid sadness, self-pity and depression. The article recommended avoiding exposure on Facebook and other social media platforms. Once in a while you see photos of friends showcasing their achievements in life: new house, car, work promotion and other milestones that often define the parameters of "success." In one way or another, seeing the success of my friends brings a degree of self-pity. For some, they simply call it as envy. I will not argue about the element of envy. However, I will not deny that at some point, I'm also attacked by self-pity whenever I see Facebook friends of my age sharing their own success stories. This is actually one reason why I start to appreciate Instagram than Facebook. Twitter is good, except when I see agitating tweets enough to ruin my day. Hahahaha I hope people will not get me wrong. I'm not wishing that everyone will refrain from posting their stories of success. It's just that somewhere along the way... I can't help but wish that I'll have my own story of success too. Not to brag on Facebook, but something to remind me that once in a while, I have done something good. Me and my friend A have been planning to have a hotel staycation for the longest time. Our usual problem, more than the schedule is the $$$$$ :p I was always in the look for great deals from Agoda. More often than not, we end up too late for the deals. And as always, financial considerations is always there to ruin everything. Hahaha I can't exactly remember how we landed in Microtel Mall of Asia. As far as I can remember, I was browsing Agoda's deals and the cheapest I found was from Microtel. What made us decide to go for Microtel is the inclusive package (room with a view, two separate beds, breakfast) for less than Php 5,000. Microtel belongs to the cluster of economy hotels. We didn't mind because that's how far our budget can afford Hahahaha and we have other plans, apart from lounging in the hotel. Unfortunately, it was profusely raining when we checked in. Hence our other plans were scrapped off. 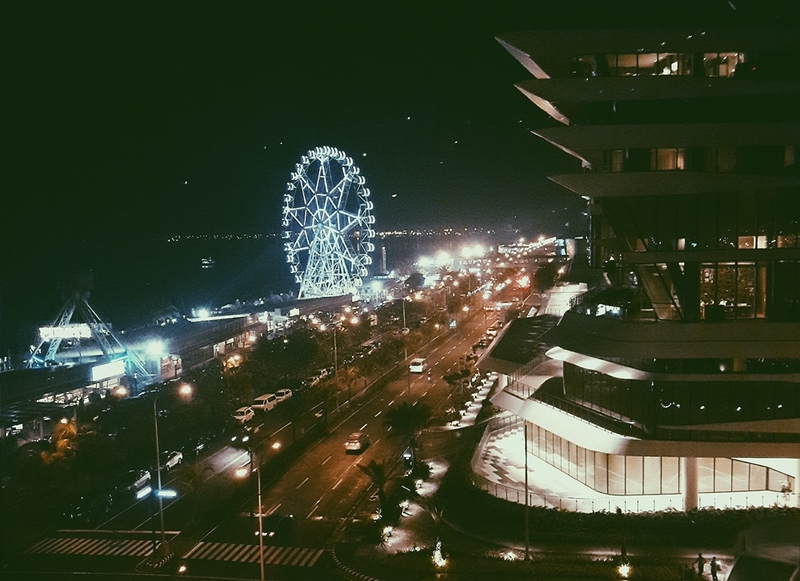 We end up strolling around SM Mall of Asia (that is full of construction and renovation projects), bought a lot of junk foods, ate the best chicken wings and watched TV all night long... while enjoying the seaside view. We enjoyed our stay at Microtel, except for some minor concerns. We arrived a little late than our check in time. If my estimates are correct, a little past 2:30 pm. A little disappointment came, we were informed that our room was not yet ready. The waiting time was tolerable though. When we finally reached our room, another problem surprised us. The air-conditioning unit was not properly working. I requested to be moved to another room instead. Unfortunately, it took me three phone calls before our request was finally granted. When we moved to another room, I was able to confirm minor lapses from the hotel's end. The second room was complete with toiletries, sachets of coffee and some bottled water. While I maybe demanding a lot from an economy hotel, I also noticed an unlikely odor inside the room. It smelled like the room has not been ventilated for a while. But never mind, we left our things and bought some items from SM Mall of Asia. Customer service wise, the utility personnel who helped us transfer rooms was great. What didn't impress me though, the ladies in the Front Desk. Yes, unfortunately.... I wasn't contented with the lady who initially handled my complaint about the malfunctioning air-conditioning unit. Upon check out, the on duty lady receptionist annoyed me to a little extent. I was the lone guest waiting in the front desk area for check out. The lady receptionist was attending a phone call on the other end of the desk. After the phone call, I handed the keycard for check out. She didn't bother to extend her hand or at the very least, approach me. Instead, I was forced to move near her. Considering the fact that I waited and it will be inconvenient for me to approach her ..... I have to give thumbs down for front desk services. On the positive side, we enjoyed our comfiest and spacious beds, the seaside view, unlimited and reliable wifi services that extends to the rooms, complimentary breakfast buffet. (excellent selections) and the hourly shuttle services to Mall of Asia.